Introduces WICED Direct and Framework for Integrating Bluetooth, Wi-Fi, NFC and Location Technology into Wearable Devices Product Family Fosters Low-Power, Affordable “Internet of Things”. 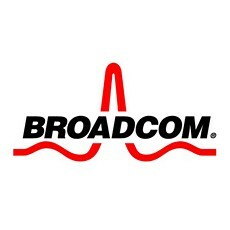 Broadcom Corporation (NASDAQ: BRCM), a global innovation leader in semiconductor solutions for wired and wireless communications, today expanded its Wireless Internet Connectivity for Embedded Devices (WICED™) portfolio with the introduction of WICED Direct. WICED is a platform that simplifies the implementation of Internet connectivity into an array of consumer devices. By integrating Wi-Fi Direct™ into the WICED platform, Broadcom is enabling OEMs to rapidly develop wearable products that communicate seamlessly to the cloud via smart mobile devices. Experts predict nearly 15 million wearable smart devices will be sold this year, and nearly 70 million by 20172. As designs get smaller, lighter and more power efficient, the connection of a wearable device to powerful smartphones or tablets that can process and send data to the cloud is critical. For this reason, smart mobile devices have become the hub for interconnecting everything. Broadcom’s WICED portfolio provides the foundation for embedding low power, high performance, interoperable wireless connectivity into these devices. Emerging segment leaders are currently designing health and wellness devices based on Broadcom WICED technology, including blood pressure monitors, glucometers, smart watches, fitness bracelets and more. By supporting Wi-Fi Direct, a specification that allows two devices to communicate with each other securely via Wi-Fi without an access point or computer, Broadcom is opening the doors to the development of new, innovative smart accessories, clothing and other wearable sensors. Near Field Communication (NFC) enables a consumer to buy a new wearable device and simply tap it to their smartphone so the devices can start to communicate instantly and securely. No more complicated menus or arduous setup processes. Bluetooth Smart and Wi-Fi allow the consumer to collect data from their wearable device (i.e. calories burned, heart rate, etc.) and transfer it to their smartphone or into the cloud without draining the battery. Wi-Fi Direct allows a consumer to directly connect two Wi-Fi devices together without the need for an access point or computer. A wearable device combined with location technology allows for interesting new use cases such as doctors tracking patients in clinical environments or retailers sending targeted advertising to consumers. 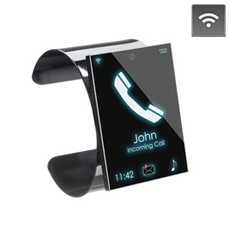 “OEMs creating wearable products require interoperable technology that will allow these new devices to connect with smartphones and tablets available today,” said Joshua Flood, Senior Analyst, ABI Research.